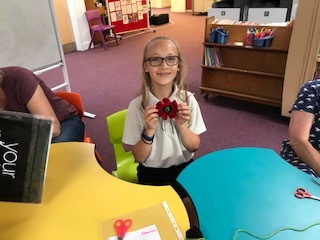 The 'Knitting Club' have been working hard to create poppies for the Cholsey Armistice memorial. The first one is finished! !